UCD rowers had a successful day on the Liffey last Saturday winning three of the four Colours Races against arch rivals Trinity College. 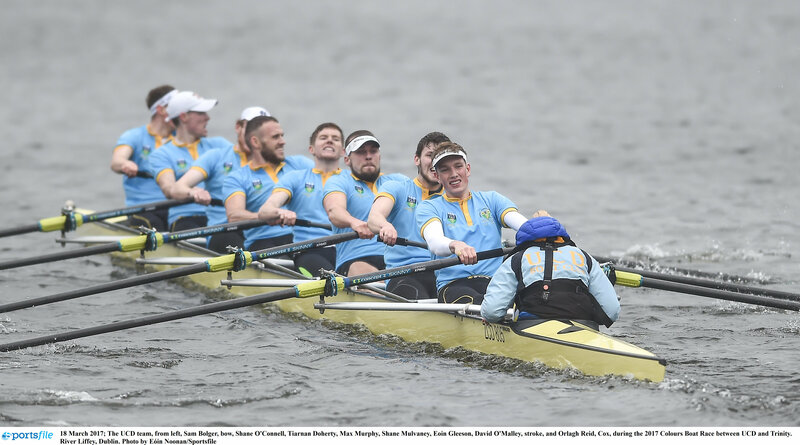 The Gannon Cup for Senior Men saw UCD drawn on the harder south side of the river but despite battling the headwind and sporting a lighter crew, the Belfield brigade rowed home the easy winners. The Corcoran Cup for senior women saw Trinity take an early lead and look like winning until disaster struck when their rudder broke, thus ending their day and allowing UCD to overtake and win. UCD also took first prize in the novice women’s race but Trinity saved their blushes by taking home the honours in the novice men’s race to avoid an embarrassing whitewash.